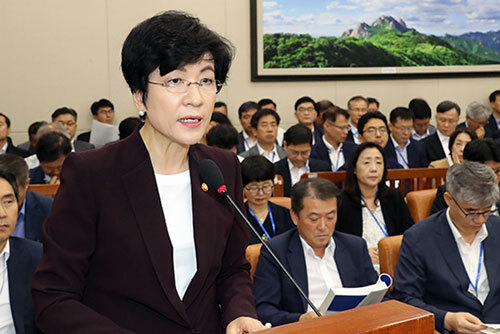 Labor Minister Expresses Regret over "Employment Shock"
Labor Minister Kim Young-joo says she feels sorry for the mere 5,000 new jobs that were added last month. She made the remark at the National Assembly’s Environment and Labor Committee meeting on Wednesday, vowing that the government will mobilize every possible means to cope with the dismal job situation. Rep. Lee Jang-woo of the major opposition Liberty Korea Party(LKP) also blamed the minimum wage hikes, saying it is having adverse effect on the country as a whole despite its merits. He argued that even though the government injected 54 trillion won into job-creation projects, the number of the jobs has still dwindled significantly. 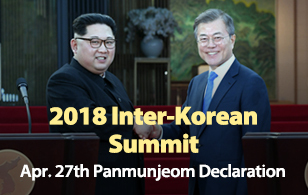 In response, Labor Minister Kim corrected him, saying that 19 trillion won was earmarked for job-creation policies, 13 trillion won of which was given to the labor ministry to execute. However, she also conceded that the results have been bad.